Faughanvale (st.Canice). Church of Ireland. County Londonderry. Discussion in 'War Cemeteries & War Memorial Research' started by Black Panther, Jul 22, 2009. 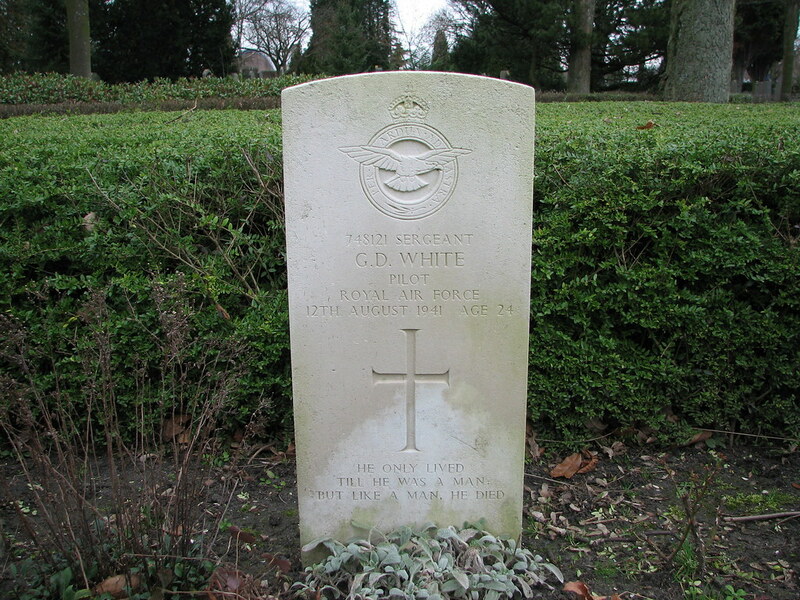 BODIE, Flight Lieutentant (Pilot), CRELIN ARTHUR WALFORD, D.F.C., 42790. 152 Sqdn. Royal Air Force. 24th February 1942.Aged 21. Son of Henry Crelin Bodie and Elsie May Bodie, of Ipswich, Suffolk; husband of Joan Bodie of Ipswich. Grave 3. SOOTHILL, Pilot Officer (Pilot), PHILIP LIONEL, 100571. 152 Sqdn. Royal Air Force Volunteer Reserve. 15th February 1942. Aged 25. Son of Herbert Ashworth Soothill and Annie Soothill, of Wallington, Surrey. Grave 2. WILLIAMS, Flying Officer (Pilot), FRANCIS HOWARD (FRANK), D.F.C., 101488. 152 Sqdn. Royal Air Force Volunteer Reserve. 7th May 1942. Aged 229. Son of Ernest and Mary Elizabeth Williams, of Ovingdean, Sussex. LL.B. Grave 4. I would like to complete My Roll Of Honour Page, with as many pictures I can get hold of. So any help very welcome. I live in Ipswich, so if anyone needs any pictures from this area please ask. If you need photos drop me a line I am up in L'derry / Derry about once a month , can do photos for you. Not on your list but on your site. 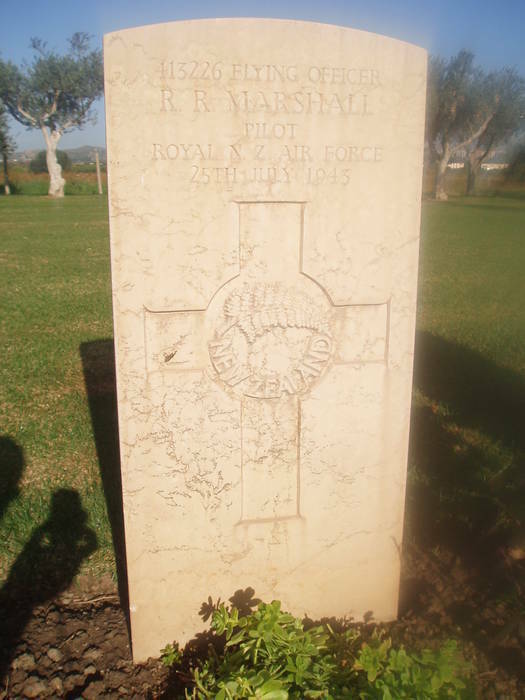 MARSHALL, Flying Officer (PIlot), REGINALD ARTHUR, 413226. 152 (R.A.F.) Sqdn. Royal New Zealand Air Force. 25th July 1943. IV. L. 47. Click on the headstone photo in the link to enlarge. POTGEITER, Lieutentant (Pilot), ST L G 207356V. 152 Sqdn. South African Air Force. 11th February 1945. Age 20. Son of Albert St. L. Potgeiter and Francis Potgeiter, of Johanesburg, Transvaal, South Africa. 20. E. 5. If you do a search on here for TAUKKYAN, member bucklt has all photos in the cemetery. ANDERSON, Pilot Officer, DONALD SIDNEY, 425493. 152 (R.A.F.) Sqdn. Royal New Zealand Air Force. 11th September 1945. Age 23. Son of Sidney Herbert and Sadie Alexander Anderson, of Kalhere, Aukland, New Zealand; Husband of Olive Doreen Anderson, of Newmarket, Aukland. 8. J. 11. Singapore Memorial, I have a contact who is prepared to go to Kranchi, so I will add them to the list. Cheers Robert, I've added your great photos and put your name underneath them, so thank you for your help. Evening James, thanks for your very kind offer, but I now have them from another member. Evening, I just wanted to say a massive Thank you to the following members for their help. RJL, Englandphil, Bucklt, & S.giannitto. Can I hijack this thread please. Do you need grave/memorial photos for these (4) Aussies? I have sent you a PM regarding three of these headstones. Graeme - Email me at wwwni@btinternet.com and I will send you the photograph you require. Just checking to see if you received the e-mail. Sorry, Please send again and I can sort you.